Social media managers are in charge of representing a company across social channels as the sole voice of the brand. They respond to comments, compile campaigns and create content. These experts provide organizations with the guidance needed to enhance their online presence. With clear goals like: “improve website traffic” or “optimize brand awareness,” social media managers grow your business through social networks such as Facebook, Instagram and Twitter. A decade ago, this role was non-existent. Now, more companies embrace social media for customer acquisition, and social management is often essential. A social media manager’s first task is to implement a marketing plan. Key to social communication: This role determines how often a company should post on each social channel and is responsible for replies. Support the development of brand identity: They show the “why” that helps customers resonate with your organization. Participate in visual design strategies: Whether it’s your profile pictures or team photos, a social media manager ensures you’re visually matching your brand. Support promotional strategies: Social media managers give you insights into paid advertising, organic traffic and influencer marketing. Compile your engagement strategy: Your social media manager listens to, responds and engages with your audience across all channels. This increases sales and improves customer relationships through engagement. Establish a conversion strategy: Your social media manager learns follower pain points and concerns. This helps them suggest how to convert fans into customers. Social media managers are community connoisseurs. Similar to PR experts, they know how to communicate brand characteristics in a positive light. A great social media manager knows how to create content, respond to consumers and engage leads. In a fast-paced online economy, the best social media managers also stay up-to-date with the latest trends on all social channels. They follow algorithm changes closely and compile bespoke strategies that appeal to the goals of your brand. 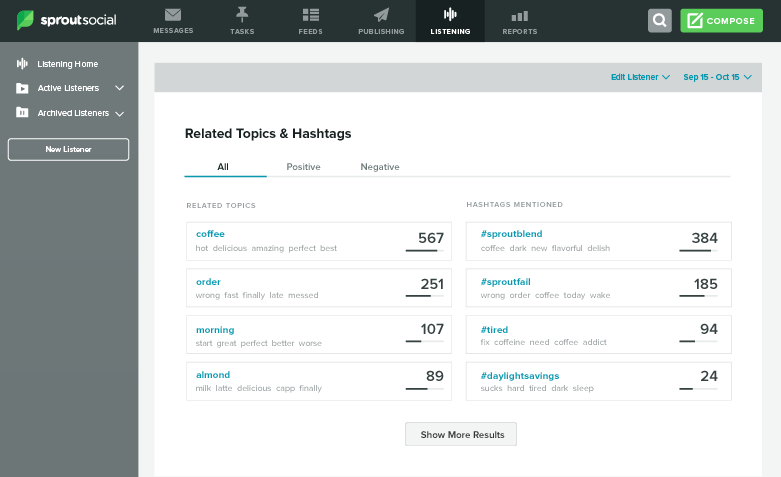 Social media managers even track the conversation around your brand with social listening tools. They help with everything from content creation strategies, to competitive analysis. The more you know about your customer’s, the easier it is to craft a message that resonates. Social media managers give busy brands instant access to social expertise. As algorithms continue to change at a rapid-fire pace, it’s tough for business owners to keep up. Social media managers focus all their energy on mastering the social space. They offer the dedication and creative perspective that online organizations need to thrive. With a social media manager and the right tools, you’ll easily outshine your competitors.